[center]it's long since we had any hope. It's a great bunch of Seanfans here...you will love it. And hey...your english is fine otherwise I wouldn't understand your post! Hi Giulia! Join the fun! Giulia, welcome to our little fellowship! Whatever else we're into, we're into SEAN! Have fun here! Glad you joined us! It's a fun bunch -- we like to laugh & we LOVE The Bean!! You can tell a lot from a woman's hands. For instance, if they're locked around your throat--she's probably a little upset. You're very nice, thank you! 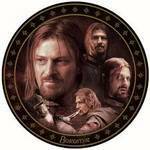 Welcome to Sean Bean heaven!! PS Your English is great! Hello and welcome, Giulia!! TMB is great! !